The Associazione Italiana Sindromi Neurodegenerative da Accumulo di Ferro (AISNAF) is the only Italian non-profit lay organization dedicated to the fight against neurodegeneration with brain iron accumulation (NBIA) in Italy. Born from the will of the parents in 2006, it has ever since raised public awareness of NBIA and acted as a catalyst to prompt the attention and interest of the scientific community towards the NBIA disorders. The AISNAF is a founding member of the International NBIA Alliance that gathers together 9 patient organizations. The AISNAF is currently accepting applications for research grants that will pave the way to new potential treatments for NBIA diseases. Funds were made available through contributions from AISNAF, Hoffnungsbaum e.V. 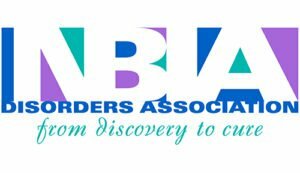 (HoBa, Germany) and NBIA Disorders Association (NBIADA, USA). While AISNAF is the grant manager, all three funding organizations have equal responsibilities and rights, which includes nominating representatives to participate on the Scientific Advisory Board and Lay Review Board for each grant call. • an 18-month research project on BPAN for up to € 65,000. Please, note that the two groups of proposals will be evaluated separately from each other and will access restricted funds. In both categories, the research grant will be awarded only if proposals fall above the funding threshold established by the Scientific Advisory Board. We may elect not to make an award if no proposals meet this standard. Budget for MPAN may be up to € 90,000 for a two-year project, including indirect costs, if applicable. Indirect costs are allowed up to a maximum of 10%. Budget for BPAN may be up to € 65,000 for an 18-month research project, including indirect costs, if applicable. Indirect costs are allowed up to a maximum of 10%. Applicants are invited to contact the grant manager at grantmanager@sciencecompass.it, in case their project’s period does not match the conditions here envisaged or, in any case they need guidance about the call’s requirements. This Call solicits basic, translational and/or clinical research proposals that explore the mechanisms of BPAN or MPAN, and/or that will investigate potential new treatments. Both innovative explorative projects that are not currently funded by other agencies and ongoing projects seeking additional funding for aims/activities that are not yet covered, can be submitted. In this latter case, potential overlaps will be carefully evaluated and applicants are requested to list all their ongoing grants. In all cases, it is expected that the results originating from this type of research will lay the basis of future proposals to larger funding agencies. Proposals must clearly describe the added value and the impact on disease understanding or on development of treatments for BPAN or MPAN, and have clear aims achievable within the specific grant period. A well-defined and feasible project timeline must be presented, including milestones and contingency plans. A strategy to secure subsequent funding must also be presented. Studies such as those on the natural history of disease that require access to relevant, well-characterized patient populations or suitable biomaterial collections must participate in entering data in the International NBIA Patient Registry and collaborate with the Biobank where applicable. A statement agreeing to this requirement must be included in the application. Proposals will be evaluated by an ad hoc Scientific Advisory Board (SAB) made up of independent experts. In addition to AISNAF SAB, reviewers were also selected to participate by HoBa and NBIADA, as funding partners in this joint call (https://www.aisnaf.org/consiglio-dindirizzo-scientifico-scientific-advisory-board/). All possible conflicts of interest will be carefully evaluated beforehand. Criteria for evaluation are: scientific quality, appropriateness of approaches, logic of experimental plan and methods, likelihood of success, long-term sustainability of the research program and potential to generate significant impact on the life of BPAN or MPAN individuals. Each proposal will receive a score and the proposals falling above the funding threshold (i.e. fundable projects) will be evaluated by the Lay Review Board (LRB) that is comprised of representatives from NBIA family community who are nominated by each of the funding partners. The LRB will choose those that best suit the scope of the Call and the vision of the families from the fundable proposals for each of the two diseases. All applicants will receive written feedback at the end of the evaluation process. Reviewers will be bound to strict confidentiality about the matters that come to their knowledge during the review process. • Affiliated with a public or private non-profit research institution. Applicant’s Host Institution (HI) is required to sign a letter of agreement that must be printed on paper bearing the official letterhead of the HI itself and sent as pdf together with the application. A template of the HI Agreement can be found here. All documents must be submitted in English. The research can be conducted in the United States, countries of the European Union, Canada, Australia, New Zealand, Brazil, Argentina, Chile, South Africa, Japan, or Israel, and in other countries where adequate supervision of grant administration is possible. The awardees will be required to provide an interim scientific report (after nine months from project start date for BPAN and after one year for MPAN. A final report will be due at the end of the funding period, including financial details to substantiate the use of the awarded funds. It is anticipated that AISNAF and/or the partners (i.e. NBIADA and HoBa) might invite the awardees to present their findings at their family conference meetings. Awardees and their Institutions will be asked to sign a Grant Agreement with a project start date of no later than October 31, 2019. • If study involves humans, copies of the Informed Consent will be required, and if study involves humans or animals the Institutional Review Board (Ethics Committee) approvals will be required from each site involved in the study before payment. • Clinical drug trials must meet the requirements established by the European Medicine Agency (EMA) and/or the Food and Drug Administration (FDA). • All publications resulting from the research funded must acknowledge AISNAF, HoBa and NBIADA and should be provided to AISNAF when published for dissemination. • BPAN grant recipients will receive 18-month funding in three stages: 1/3 at start of project; 1/3 at nine months after interim scientific and financial reports are submitted and approved; and the final 1/3 payment at the conclusion of the grant after final scientific and financial reports are submitted and approved. The PI must submit a final scientific & financial report within three months of the end of the Grant Period unless an extension is granted. Grant recipients not in compliance with this requirement may forfeit their final payment. • MPAN grant recipient will receive 2-year funding in three stages: 1/3 at start of the project; 1/3 at one year after interim scientific and financial reports are submitted and approved; and the 1/3 payment at the conclusion of the grant after final scientific and financial reports are submitted and approved. The PI must submit a final scientific & financial report within three months of the end of the Grant Period unless an extension is granted. Grant recipients not in compliance with this requirement may forfeit their final payment. • AISNAF must be informed immediately of any change to the status of the PI or other important contributors to the project which might affect their ability to comply with grant conditions. • If the interim or final reports reflect serious deviations from the grant objectives and cannot be explained adequately, forfeiture of funds due or termination of the grant award may be warranted. • All research papers that have been accepted for publication in a peer-reviewed journal, and are supported in whole or in part by the grant, must be made available at NIH PubMed Central as soon as possible, and in any event within six months of publication, in line with an Open Access policy. • It is recommended that research resources, including model organisms, developed under this funding initiative must be shared. Please include a sharing plan in your proposal. (please, do not exceed the character number limitations specified which include spaces). Please carefully follow these guidelines to assemble your proposal and send it by email as an attached pdf. Applicants are requested to limit the number of figures used and to not copy sections of already published papers. Figures can be uploaded in the following sections: Preliminary Results and Research Plan. Graphs or charts can be placed here as well. Use high resolution pictures only for photographs that require details. Please note that the project may have only one PI. Multi-centre projects with more than one lab involved requesting financial support are not eligible for this funding initiative. II. Background and Rationale (max 8000 chars). Present background information and a rationale for the proposed study plan using the scientific literature and previously published or preliminary data (if available). III. Preliminary results (max 5000 chars). In order to support your hypothesis, if possible please provide any preliminary data produced in your lab that is pertinent to the proposed study. However, preliminary data is not mandatory for this type of funding initiative. IV. Research Plan (max 12000 chars). List the Specific Aims of the project. Provide a description of each one and of the experimental plan to achieve it. Explain the aim for collaborations, if any. Provide a timeline for the different Specific Aims (Gantt chart or similar). V. Collaborations (max 5000 chars). Please note that budget cannot be allocated for collaborators. If collaborations are envisaged, indicate who the collaborators are (specifying name and institution and providing a brief bio sketch) and describe the approaches each collaborator will bring to the overall study. Please note that all listed collaborations must be supported by collaboration letters written in English, which must be attached to the proposal. VI. Cited Literature (max 20000 chars). List all references. The list must include the names of all authors, year of publication, title, book or journal, volume number and page numbers. VII. Host Institution. Provide information about the facilities and resources available for you at the Host Institution, including lab and office space, major equipment and core facilities and services available. The Host Institution (HI) has to provide a letter of acceptance of the project being conducted within the Institution itself (Host Institution Agreement). The letter must be signed by the Director or other Responsible Official of the HI. The letter has to be sent as pdf together with proposal. Failure to submit the Host Institution Agreement may result in exclusion from review (please find the form for HI Agreement here – link). – Materials, Supplies, Services: List by category: Services include items such as Animal Housing (justify the total no. of animals needed and the cost per diem), Sequencing, Peptide Synthesis, etc. Major cost items should be listed and properly justified. – The salary of only one project’s staff member (postgraduate, postdoc, technician, etc.) The salary should be determined by the time spent dedicated to the project. – Other expenses: i.e. publication costs, samples, animal shipments and others. IX. Other financial support. List all financial support available or grant applications pending in your lab that are pertinent to research on NBIA, including: title of grant, coordinator, funding body, budget, funding period, research supported by the grant (two lines). X. Personnel. List the people involved in the project indicating: name, surname, date of birth, degree, role on the project, type of contract at the Host Institution, end date of contract, if the salary has been requested, annual effort on the project (% of time). XI. Lay summary (max 5000 chars). This section is crucial for the lay evaluation that will be performed by the Lay Review Committee (LRC). The LRC is comprised of nine representatives from the NBIA family community who are nominated by the funding organizations. LRC members will evaluate and select only projects that are recommended for funding by the SAB. The lay reviewer’s role is not to comment on the quality of research or on the science behind it, but to ensure that the research aims are aligned with the scopes of the funding organizations and of paramount importance to NBIA families. To facilitate the lay review, provide a description of the project avoiding the use of jargon, complex terms and phrases and use plain English. Focus on the significance of the research and how it will be instrumental for the design of novel disease-modifying therapies. XII. Consent to the processing of personal data. Please download the form here, print, sign and send it together with your application. will result in exclusion from further review. Document must be a single pdf with file name “2019 AISNAF Grant Application-your last name/DISORDER,” and emailed to grantmanager@sciencecompass.it no later than May 13, 2019. Science Compass, a professional consulting firm that provides services to enable grant calls and peer review in the field of biomedicine, is managing this grant call for AISNAF. For more information, visit https://www.sciencecompass.it/ or contact Francesca Sofia, PhD, at francesca@sciencecompass.it. Per poter arrivare in fondo a questo percorso abbiamo bisogno di aiuto. Del tuo aiuto.